Though the dates and places of composition of Telemann's one hundred and seventy surviving concertos cannot precisely be determined, it is likely that many may have been written during his earlier years before he settled down in Hamburg, probably during his Frankfurt period, 1712-1720, for entertainment at the Court of the Prince of Bayreuth where he was Capellmeister, or by the Frauenstein Musical Society. Some of his concertos do exist in copies by Graupner, whose Darmstadt orchestra frequently supplemented Telemann's own Frankfurt Court forces. Composition of the Suite no. 6 in d-minor can however be dated with certainty during this Frankfurt period since it comes from a set of "Six Concerts et Six Suites à Clavecin et Flûte traversière" which Telemann edited for his own independent publication between 1715 and 1720. 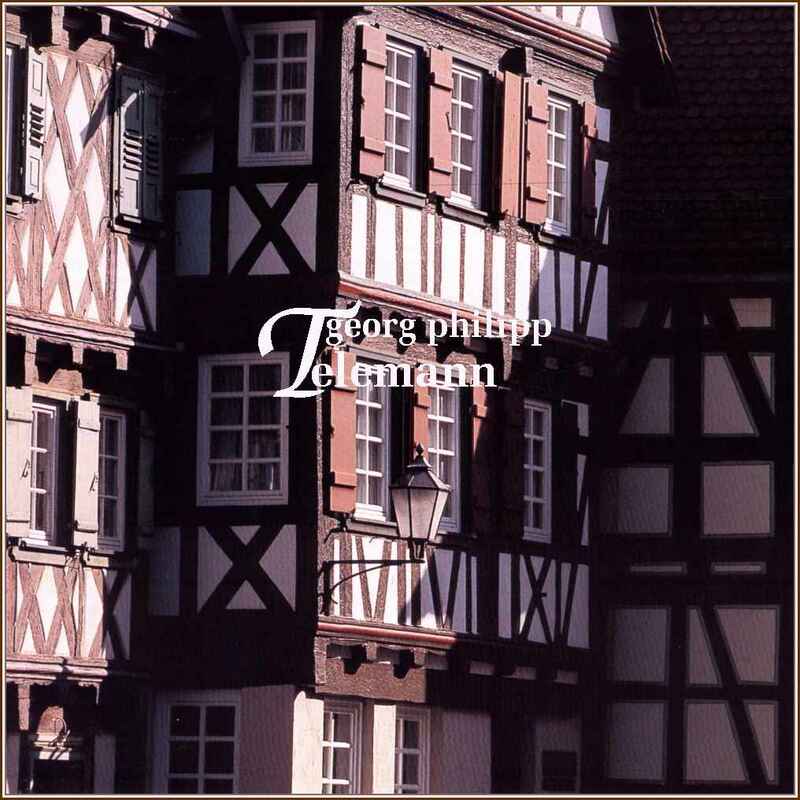 The wide variety of instrumentation in Telemann's concerted works shows a desire for exploration in sonorities. The Concerto in G for 2 Violas for example, is titled, interestingly, "Concert par Monsieur Telemann pour 2 violettes, 2 violons, taille et basse"; the viola was clearly regarded as an English instrument, and a "foreign" sonority to be explored. The violas were also referred to as "Violette all' inglese" by Vivaldi, whose variety of instrumentational coloring far exceeded even that of Telemann. We have tried to present the concerted works of Telemann in as wide a variety of instrumentation as possible. All of the works on this disc are among our all-time favourites. We hope you enjoy our selection of works by this important north German composer.